Okay, so they technically played at Bonnaroo last year, insomuch as they were present, on the site of Bonnaroo, and performed acoustic for a lucky crowd in the press tent, but 2014 marks the first year Nashville group The Wild Feathers have been properly included on ‘Roo’s lineup. A surprising fact, to be sure, considering how much hype surrounds them, and how much local love they’ve amassed. In the time since last year’s Bonaroo, the folk-tinged, no-bs rockers have played the nearby Forecastle Fest, wowed audiences at SXSW, joined fellow locals Moon Taxi and The Weeks for Live on the Green, debuted on Jimmy Kimmel Live!, and even made a cameo on a recent episode of ABC’s Nashville. Not bad for a band who used to play The High Watt every other month, right? 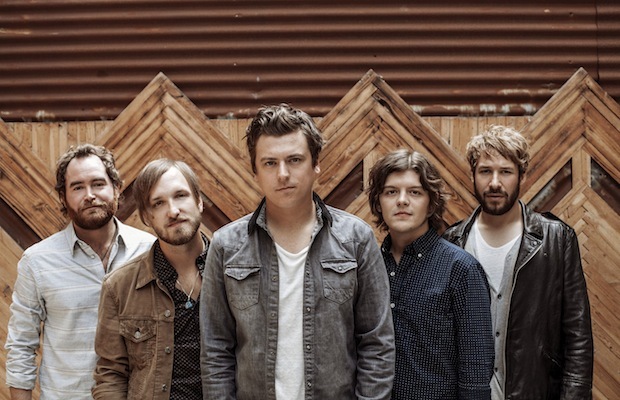 Sound-wise, The Wild Feathers combine elements of rock, country, blues, and and folk to create a style that is all at once retro in its tendencies and modern in its aesthetic. Comprised of four former frontmen and formed in 2010, with their self-titled debut arriving last year, the band play with a seasoned expertise polished well beyond their relatively short existence. There’s a reason why they’re seemingly blowing up over night, and they will, undoubtedly, be rocking a much, much bigger Bonnaroo stage before long. Catch ’em now, while they’re still one of Nashville’s best-kept secrets!